Here's a list of some of the major terror attacks that have taken place in India. July 11, 2006: Over 200 killed in a series of seven blasts in Mumbai local trains. 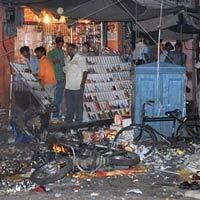 October 29, 2005: Three powerful serial blasts in New Delhi just two days before Diwali. About 70 people died. August 15, 2004: 16 killed in explodes in Assam. Most of them were schoolchildren. May 14, 2003: Terrorists attack an army camp near Jammu, killing more than 30, including women and children. 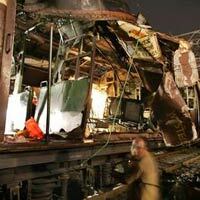 March 13, 2003: A bomb attack on a train in Mumbai kills 11. December 13, 2001: Terrorists attack parliament complex in New Delhi killing seven. October 1, 2001: Attack on J&K assembly complex kills around 35. 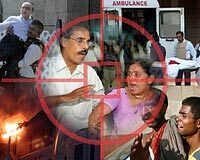 February 14, 1998: Blasts in Coimbatore kill 46.